The Department of Agricultural Leadership, Education and Communication offers a Masters of Science degree in Leadership Education. This program provides further academic study and support to people in a variety of academic disciplines who are seeking to enhance their leadership or leadership development skills. The program provides content and experiential activities that support leadership studies, training and development, extension education, postsecondary teaching, and positions in business, government, or the private sector. The interdepartmental doctoral program in Human Sciences with a specialization in Leadership Studies is designed for individuals interested in the scholarly study of leadership. A firm foundation in leadership theory and research provides support to those interested in leadership development and practice in a variety of academic and professional settings. It is ideal for current and future leaders in communities, government agencies, and private sector organizations. Additionally, this program is designed to prepare those interested in faculty positions focused on researching and/or teaching leadership. The Department of Agricultural Leadership, Education and Communication faculty and graduate students are internationally recognized for teaching, research, and outreach. We strive to develop close student-faculty relationships based on strong mentoring experiences, valuable internships, and in-depth seminars. We encourage these relationships by offering interactive online and face-to-face classes. 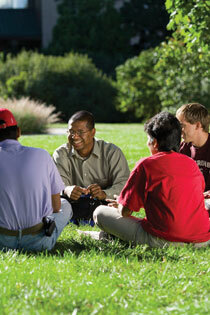 For additional details check out the dept./program website: Leadership Education/Leadership Studies.